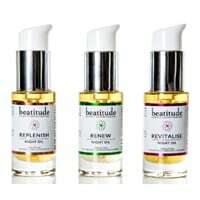 You have a chance to get your hands on a free five duos of super-charged lightweight Beatitude facial oils to give away, each duo worth £76 from Beauty Bible. Just follow our link and fill up the form with your details to submit your entry. Click on “GET IT HERE” button and then follow instructions given above for a chance to win one of these giveaways.